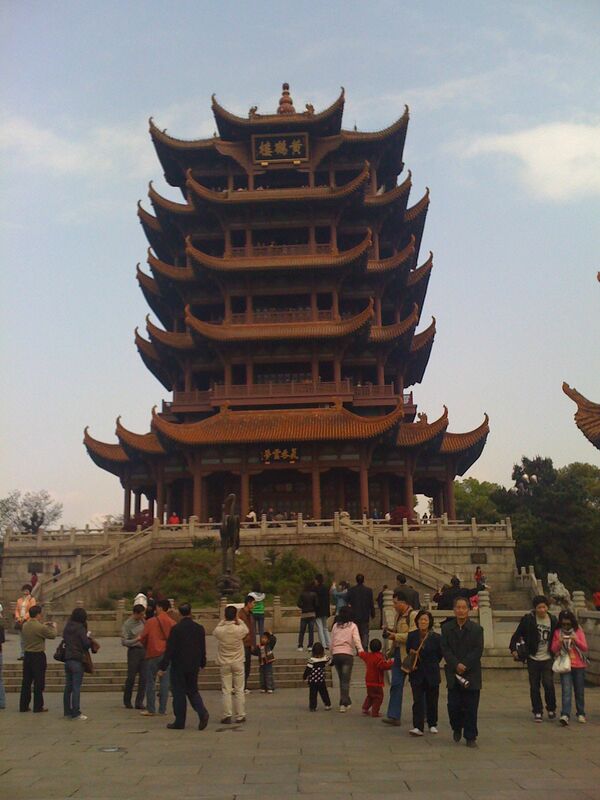 In May this year I went to Wuhan, Hubei to visit a client. I took the opportunity to visit the famous Yellow Crane Pavilion (黄鹤楼 pinyin: Huáng Hè Lóu), which is a structure of about 7 storeys built on a slightly elevated land at the bank of the famous Yangtze River. The history of the pavilion dated back to the Three Kingdoms period (220-280). 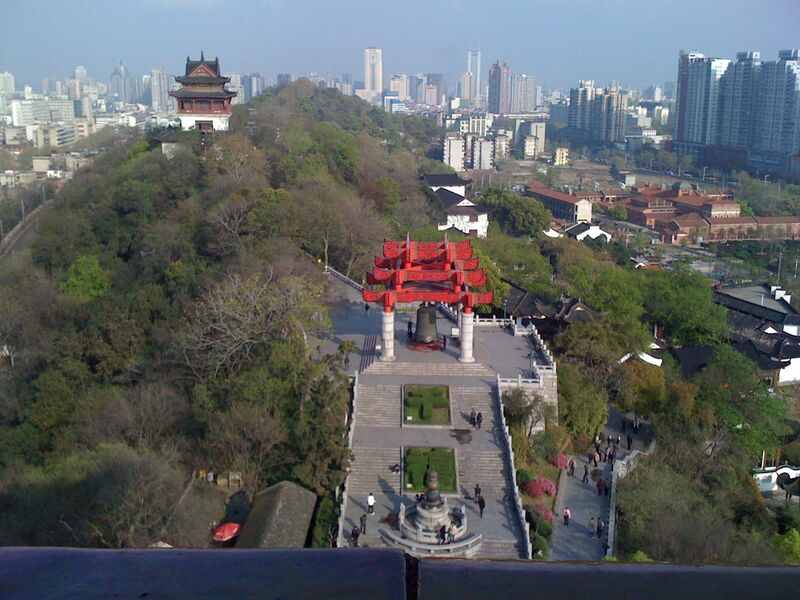 When I stepped onto the terrace on the top floor of the pavilion, I had a fine view of the Yangtze River and the entire city of Wuhan. I was overwhelmed with emotion and proud of the greatness of the history of China. Long ago a man rode off on a yellow crane, all that remains here is Yellow Crane Tower. Once the yellow crane left it never returned, for one thousand years the clouds wandered without care. The clear river reflects each Hangyang tree, fragrant grasses lushly grow on Parrot Island. At sunset, which direction lies my home town? The mist covered river causes one to feel distressed. In the third month’s cloud of willow blossoms, he’s going down to Yangzhou. All I see is the Yangtze River flow to the far horizon.